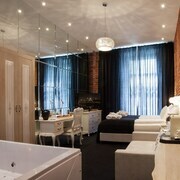 The LUX Apart hotel is a terrific place to stay while in Krakow. The room was beautiful, clean, and access to the old city of Krakow is almost across the street. Fantastic location away from the noise of main square but still easy (5 minutes) walking distance to same along one of the nicest shopping streets in Krakow. 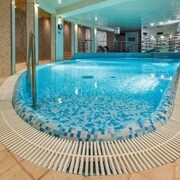 I'd recommend this hotel and would stay here again if I find myself back in Krakow. We would be happy to stay there again the next time we visit Krakow. New modern building, cleaning spot on and friendly staff. Where to find Krakow hotels near an airport? How can I find hotels in different Krakow neighborhoods? Where can I find hotels in Krakow that are near tourist attractions? Accommodation choices are in generous supply in Krakow. 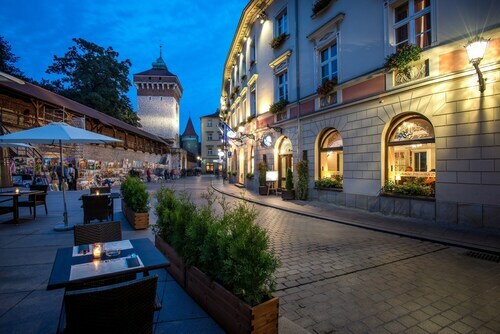 On Expedia's up-to-the-minute booking section you can find 328 long- and short-stay options within a 0.1-kilometre (0.06-mile) distance of Krakow's downtown. 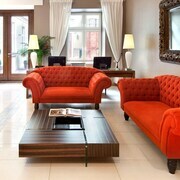 Krakow offers a selection of centrally located places to stay, such as the Bonerowski Palace and Hotel Copernicus. Royal Road, a popular Krakow hotel neighborhood with 55 Expedia-listed hotel establishments is 0.3 kilometres (0.2 miles) away. 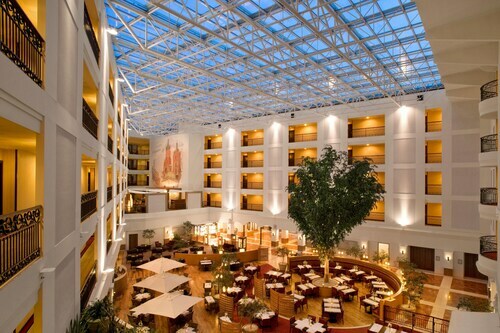 Hotel options here include the Hotel Wentzl and Hotel Pod Roza. An alternative is Tarnow. Tarnow is where you'll find the Dwór Prezydencki and Hotel Tarnovia. Or, you could try Paszkowka, where you'll find the Paszkowka Palace and Paszkowka Guest House. 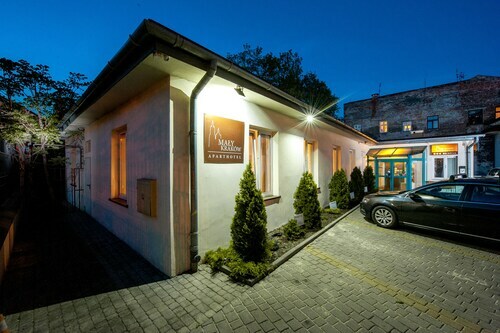 The Turowka Hotel & Spa and Hotel Grand Sal are located in Wieliczka, and Hotel Black&White and EchoDom 6 Apartments Jasienica are part of the Myslenice area. The Wawel Castle is amongst the most popular attractions in Krakow. Many tourists like to stay near this iconic attraction when they are in Krakow. The Hotel Stary and Hotel Kościuszko are all close by. The Grand Hotel and the Amadeus Hotel are very near Wawel Cathedral. The Hotel Senacki and the Hotel Gródek are close to Oskar Schindler Factory. The St. Mary's Basilica, another well-known Krakow attraction, is not far from the Sheraton Grand Krakow and the Komorowski Luxury Guest Rooms. 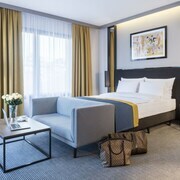 Accommodations that are near the Czartoryski Museum include the andel's by Vienna House Cracow and the La Gioia Designers Lofts Luxury Apartments. Krakow features a solid selection of budget hotel and apartment options that will be sure to please thrifty visitors. 12 kilometres (7 miles) away from Krakow's center is where you'll find the Hotel Galicja. 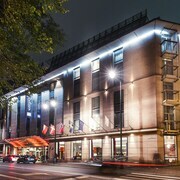 The Hotel Lorenzo is only 4 kilometres (3 miles) away. 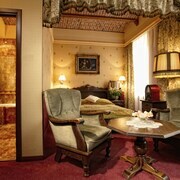 The Kazimierz's Secret Apartments and the Hotel Wilga are some other budget options well worth looking into. 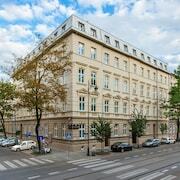 The Hotel Unicus is positioned 0.4 kilometres (0.3 miles) from the center of Krakow. Alternatively, the Angel Plaza Apartments is located 0.6 kilometres (0.4 miles) away. The Hotel Kossak as well as the Metropolitan Boutique Hotel are two other Expedia-listed accommodation options in Krakow. Looking to venture a bit further afield? Krakow - Lesser Poland offers many options. Krakow - Lesser Poland boasts forests, rivers, streams and lakes. Commonly visited Krakow - Lesser Poland tourist sites are ruins. Tourists in this section of Poland can enjoy mountain climbing, hiking and bungee jumping. Consider spending a day or two enjoying Expo Krakow and Nowa Huta Meadows, in Czyzyny, 5 kilometres (3 miles) to the east of Krakow. 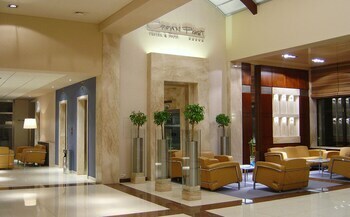 Czyzyny hotel options are the Hotel Centrum and Hotel Swing. Or, you could consider staying in Zwierzyniec, 6 kilometres (4 miles) to the west of Krakow, where you can pick from the Crown Piast Hotel & Park and Vanilla Aparthotel. Regardless of whether you're passing through or spending a few nights in Zwierzyniec, be sure to visit the Camaldolese Hermit Monastery and Krakow Zoological Gardens. Situated 10 kilometres (6 miles) away from Krakow is John Paul II - Balice Airport. Stay nearby at Villa Zakamycze Airport or Hotel Magnat. 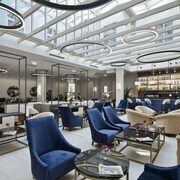 Are there hotels in other cities near Krakow? What other types of accommodations are available in Krakow? Explore Krakow with Expedia.ca’s Travel Guides to find the best flights, cars, holiday packages and more!